We look forward to welcoming you to Novotel Sydney West HQ! Please contact our friendly team for more information on 02 9832 3888, as the Hotel car park is currently under construction. 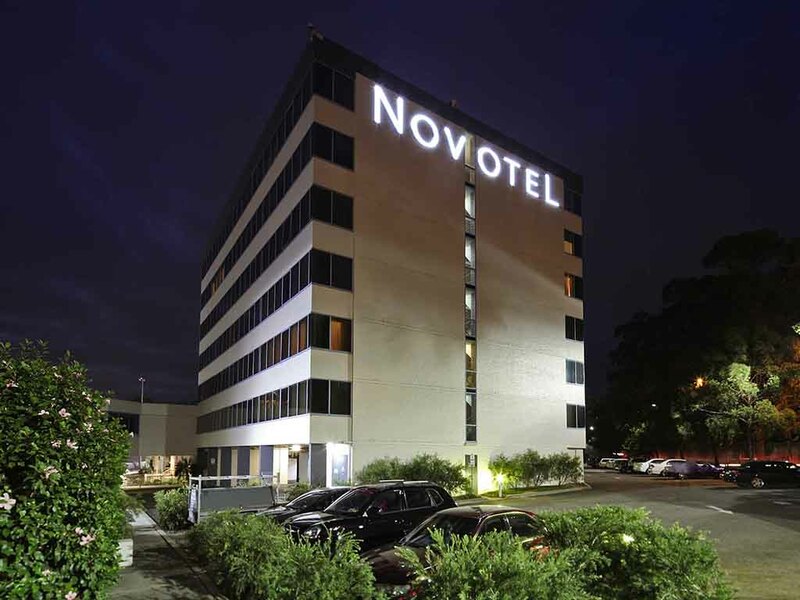 Check in and stretch out in 4.5 star comfort at Novotel Sydney West HQ hotel in the city's booming west. Spare, contemporary design, natural light and lots of space make your room a calm haven. Right next door is Rooty Hill RSL for dining and entertainment. Guests have access to the Sydney Gymnastics Aquatic Centre and the One55 Fitness located within the precinct, walking distance from the hotel. Please refer to SGAC and One55 websites for further information, including closure periods. menu33 offers an innovative menu in a warm atmosphere. Relax by the fireplace before dinner and enjoy a drink and good company. The hotel bar is located in menu33 and is surrounded by a beautiful fireplace where you can relax with friends or have a business meeting before dinner. 3박 4일동안 방 청소도 깨끗하지 못했으며 기본 물병 등 채우지 않아 불편함이 많았다.